Hello hello! How are you all?! I'm now on the second week of my internship and I'm still loving it, although I get home totally exhausted so sorry for the slight hiatus between posts. 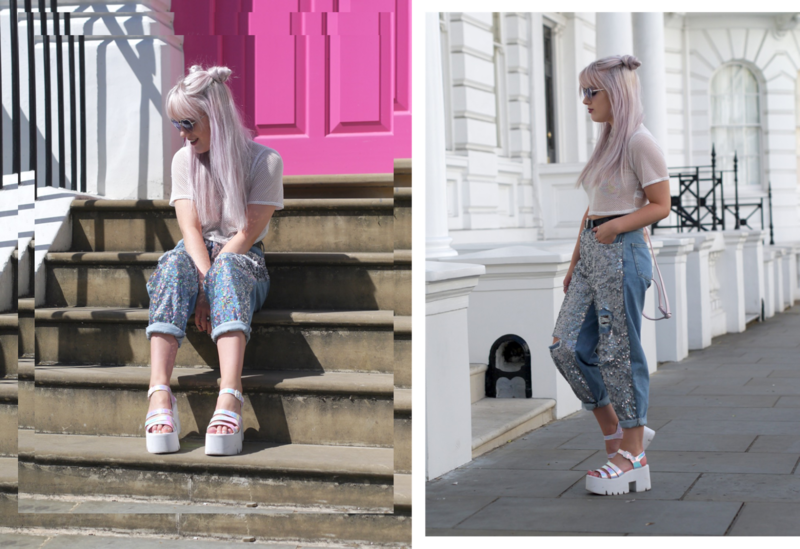 I realised that I've never shown you guys how shamazing these jeans look in the sunshine, so here you go! Look how prettyyy! 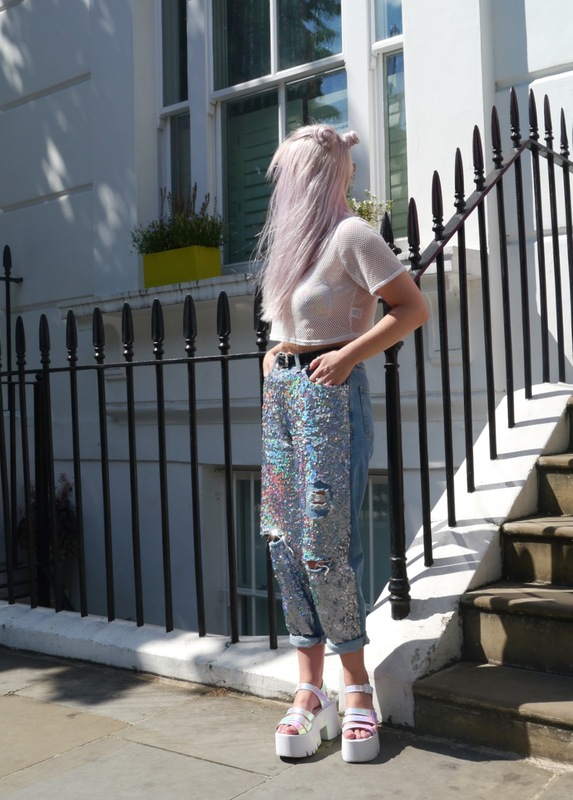 Topshop now also have an iridescent version and I had to reign myself in before I bought those as well! love this outfit, those jeans are amazing! those jeans are still sh-mazing, definitely not something i'd be brave enough to wear but still amazing!